Savor the tropical splendor of emerald-green palms, white sand beaches and brilliant turquoise waters as you sail aboard the luxurious Oceania Cruises Marina to the most stunning destinations in the South Pacific, the gorgeous Polynesian Islands. Experience a cruise with the finest service, accommodations and cuisine at sea, where every port of call is an island paradise. 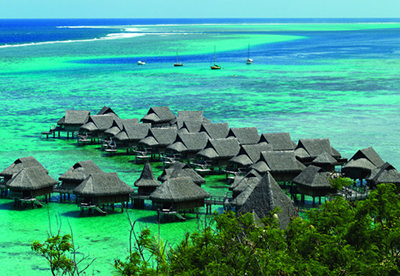 Admire multihued lagoons around Moorea and discover the region’s cultural heritage on beautiful Raiatea. Be engulfed by magnificent tropical beauty on romantic Bora Bora and wander the black sand beaches of Nuku Hiva. Sail to Hiva Oa, artist Paul Gauguin’s idyllic island home, and enchant your senses with colorful sea life at Rangiroa, before returning to Papeete on the lovely island of Tahiti. Set adrift, catch the breeze and discover Polynesia’s most beautiful gems on this exceptional voyage. Day 11: Papeete (Tahiti) / Depart for U.S.